Hip, modern BBQ joint with industrial-chic decor, elevated sides, beer, wine & craft cocktails! The Big Swing Thing is the Mid-Atlantic Region's largest premiere music and dance festival, featuring the music and dance of the swing era. During the three day festival, 11 live bands will present 24 hours of music for listening and dancing. Top regional swing dance instructors will be on hand to teach a full schedule of classes and workshops from beginning to advanced to help you reach your dance comfort zone, and select regional dance troupes will present performances throughout the festival. Dance and performance schedule TBA. Private Event in Pittsburgh, PA! The Twisted Tail's Infamous New Years Eve Party! 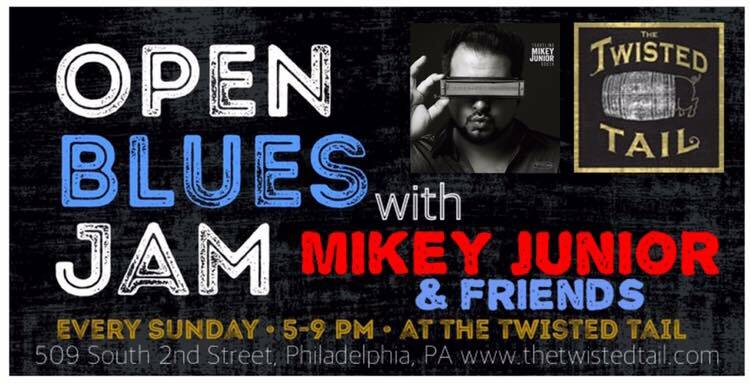 December First Friday, Indigo Blues is proud to be hosting one of our favorite artists out of Philadelphia, PA – Mikey Junior! This is an Indigo Blues Signature Event! RSVP on Facebook or to Indigobluespa@gmail.com by Wednesday 12/5 for the discounted entry rate. ($15 at the door/$13 with RSVP). George Winchell will be teaching the intermediate lesson this month, which will start at 8:15pm prompt. Cost: $15 at the door ($13 with RSVP on Facebook or to indigobluespa@gmail.com). Must be over 18 to attend. Several parking lots behind the club do not allow parking. Please note the signs. There is ample street parking, also a large parking garage on Duke.